My team asked me to lead a group into a new structure for the Divine Human, creating The Balanced Heart. It is the next step after the amazing work already done here on Earth with the archetypes of Divine Feminine and Divine Masculine, now fully available in convenient archive. Not to be missed materials, insights and launch-making energies for your further expansion of Being light in human form. Free Call related to this Series is here. I am thrilled to be offering this experience to you and the others ready to go further into the Divine Human codex, updating it as we proceed in this experience. We have never done this before from in the bodysuit. We are upgrading humanity in many ways, as this group can probably relate to. 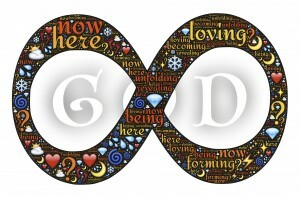 We offer ourselves and humanity at large an expanded sense of Sovereignty, independence, majesty, love, light and glory. And so it is. We experience messages from our teams (my term for our Higher Self energies, which are beyond One Soul, an approach that allows us to better access our expanded divine all that is layers), meditations, activations, live Q&A, conversation and shared community via a dedicated FB group. I normally do this type of work at my annual retreats. This work is very deep and quite expanded. Still, I welcome those new to their awakening process as well as those new to my work. I trust you, and your sense of being led to this work with me and the others. But, please know that in my work I interact with you as the Master you are, knowing that this approach itself is highly activating to your human connection with your higher self dimensions. I look forward to sharing and creating alongside our teams and each of you via these special materials, now available fully in archive. This is especially for those led to change the fabric of humanity, from the inside out. We don’t rescue. We don’t save. We don’t over analyze from the mental planes. We simply Are the Light of Source, by choice, by self-identity and we hold the door open for others in doing so. I can feel our team’s excitement about this work and what is available in this series. I am honored to be partnering with You and Your Soul Signature in this divine process.